【Function Access】Click character portrait to enter Squad Panel, click “Fashion” to enter. 【Requirement】Can gain Fashion from Events, Store and other methods. 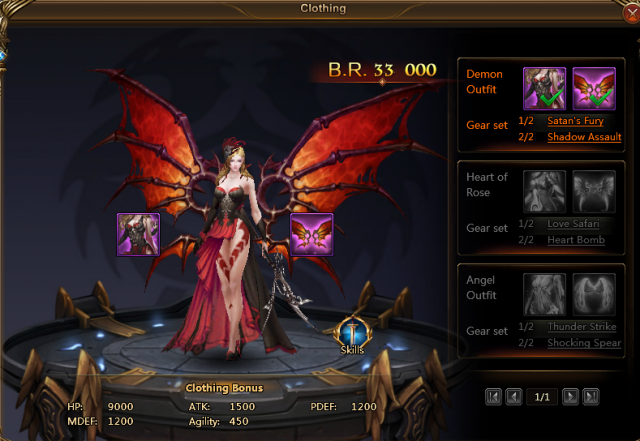 ·Players can activate and equip Fashion in Fashion System. ·Other than its beauty, Fashion grants powerful skills that greatly increase character power. ·Just like mounts, once Fashion is activated, Skills and stats are permanently activated and can be changed at will. Fashion equipped does not effect stat or skills.